The name “sugilite” is derived from the name of the Japanese petrologist who first described it, Ken-ichi Sugi. The word is usually pronounced with a soft “g,” but is actually supposed to be pronounced with a hard “g,” mirroring the correct pronunciation of Sugi’s name. Sugilite is a cyclosilicate mineral, which tends to form prismatic crystals in a hexagonal system. With a Mohs hardness of 5.5-6.5, it is about as hard as apatite or orthoclase feldspar. For comparison, quartz rates a 7, so sugilite is less hard than quartz. Sugilite is sometimes described as mostly translucent, but it generally has a very cloudy aspect to it. A single sugilite gemstone, when polished, will display a number of different shades of purple as well as darker veins which may even be close to black. These same veins and color variations are obvious on the raw stones as well, but polishing really helps to bring them out and showcase their beauty. Sugilite’s color is its main standout trait, sometimes described as “grape jelly purple.” Sugilite gemstones are varying shades of purple and violet. Some of the stones have cool hues which are closer to indigo, while others have very warm plum hues which may range close to pink. Sugilite gemstones may be very dark or they may be medium-toned or fairly light. Most stones will have a number of hues running through them. What is most consistent about sugilite’s color is how astonishingly eye-catching it is. Sugilite immediately grabs your attention with its bold intensity. Bright pink stones can be just as highly prized as the deep purple ones. Sometimes you will also find sugilite in other colors, like yellow (which is not as highly valued). Sugilite does not have any prominent industrial uses. As it is not very hard, it tends to break easily, which limits its potential for practical purposes. 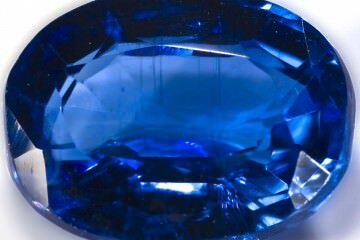 Its bold color and rareness also make it a unique and beautiful gem which is best kept for aesthetic reasons. As such, its main use is in jewelry and in stone carvings. When shopping for sugilite, one of the most important things to know is that there is imitation sugilite on the market. Imitation sugilite is quite easy to mistake for the real thing. Typically, marble is used for this purpose, dyed purple to mimic the bold hues of sugilite. Marble has a loose texture which is similar in appearance to the texture of sugilite, especially when both have been polished. With marble you get those same light and dark patches. Sometimes imitation sugilite is properly labeled as such, but it may be marketed at times as real sugilite. So be very wary when the price does not match your expectations and when you do not know the history of a piece. Be particularly cautious if a piece is from Asia, where most sugilite sales (of both real and fake sugilite) take place. Cut and clarity are not really factors when evaluating the price of sugilite. The gemstone is rarely going to be all that clear, and it is not common to find it faceted, since faceting does not really bring out its best aspects. Most sugilite gemstones will be raw or tumbled. The factor that has the biggest impact on value is the intensity of the color. The deeper the purple hue, the more expensive the stone will be. Mottling has little impact on price so long as the color is deep enough. Lighter patches can subtract from the price estimation. You can expect to pay around $16-$25 per carat. Size also has little impact on value, since it is quite common to find large sugilite stones. You will often find pieces weighing as much as 10 carats. 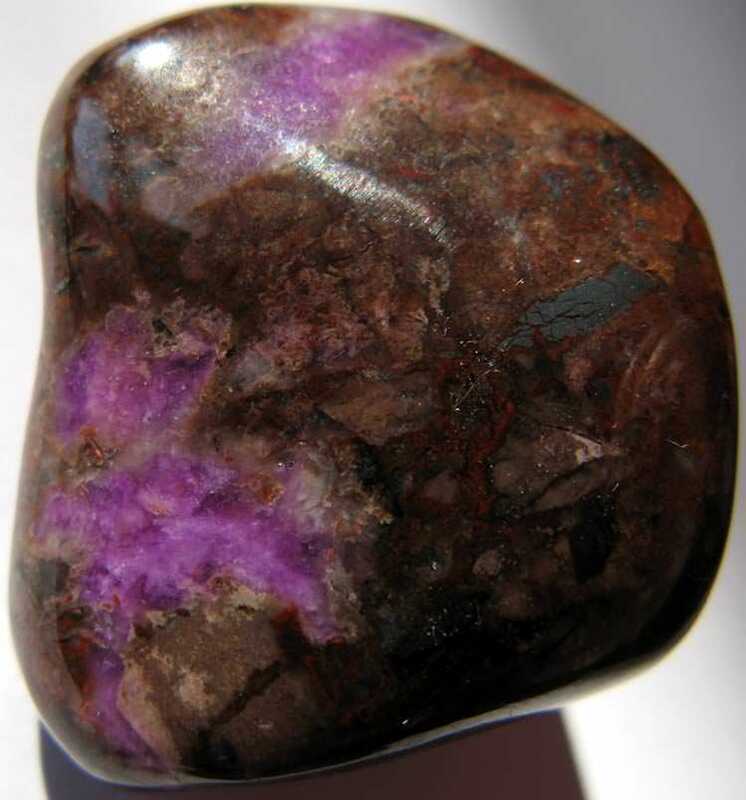 Note that it is difficult to estimate the value of translucent sugilite because the glassy form of the stone is quite rare compared to the cloudy, mottled form. Sugilite can be made into all different kinds of jewelry, and can work beautifully for earrings, pendants, bracelets, necklaces, and rings. Sugilite bangles have become very popular in Asia. Sometimes these bangles are made of real sugilite, while other times they are made out of the imitation sugilite mentioned before. You will rarely encounter faceted sugilite jewelry. Faceting usually has the best visual effect when it is used on gems with a significant degree of transparency. Faceting helps draw out the depth, sparkle, and clarity of a gem. As a result, if it is used on a cloudy gemstone like sugilite, it actually seems to emphasize the cloudiness, but not as a virtue of the stone. This is why most sugilite jewelry either uses sugilite beads or tumbled and polished sugilite stones. You will sometimes find jewelry which uses the raw, natural form of sugilite as well. Tumbling and polishing displays the different colors and the mottled patterns beautifully, drawing emphasis to them in just the right way. 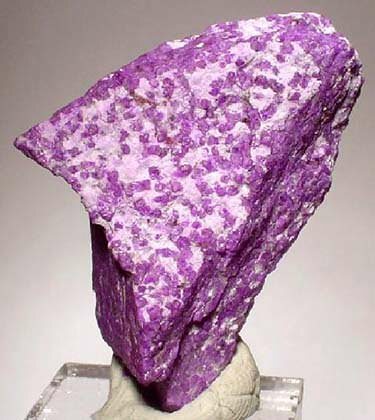 Sugilite may also sometimes be carved into figures. Sometimes carved figures are worn as jewelry, but you will also find a lot larger decorative figurines and statues. Sugilite is excellent for this purpose for a couple of reasons. Firstly, as mentioned earlier, large chunks of sugilite are common. Secondly, since the hardness of sugilite is only around the middle of the scale, engraving it isn’t that difficult. It is soft enough that it can be cut with very intricate designs. You’ll find many different objects carved from sugilite, but dragons and religious figures are among the most popular forms. What about sugilite engagement rings? They do exist, but they are not quite what you would expect from traditional engagement rings. Because faceting does not work very well for sugilite, what you will find are not engagement rings set with faceted sugilite centerpieces, but engagement rings with sugilite embedded in the bands. Oftentimes you will find the sugilite alternating with panels of other gemstones. 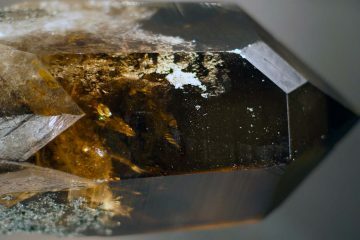 There may or may not be a central faceted gemstone utilized in the design. Sugilite makes a lovely accent gemstone for the band of an engagement ring. It adds some beautiful color and pizzazz. Sugilite engagement rings are not very common, so if you have one, it will be unique. This is not a traditional gemstone for an engagement ring. It certainly is not a replacement for a diamond, but since it is rarely used as one, this is not much of a concern. You can include diamond and sugilite on the same ring. Still, not everyone will want sugilite embedded in their wedding bands. The relative softness of sugilite may make it easy to scratch. Even with the sugilite set in the band, it may be susceptible to damage from daily wear. Sugilite’s vivid purple hue is gorgeous, but it will not match every outfit. It could easily clash with certain clothes, which may also not make it an ideal gemstone for everyday wear. If you are thinking about getting a sugilite engagement ring for someone, be sure that you ask them first if that is what they want. Cleaning sugilite should never be done using harsh methods like an ultrasonic or steam cleaner. Sugilite is way too fragile for that, and could easily be fragmented. You should only ever wash this gemstone by hand. Get a damp cloth. Use water and, if necessarily, a very mild dish soap. Wash it gently and rinse it off. If needed, you can get inside crevices using an old toothbrush. Wearing and storing sugilite also should involve care. Sugilite can easily be scratched, so put it inside a pouch when you store it in your jewelry box, or keep it in its own compartment. You do not want it touching other jewelry. When you are wearing it, take extra care. Take it off before you work with your hands or do anything active. Make sure you don’t put it on when you are getting ready until you are done using hairsprays, perfumes, and other chemical products. You do not want these products to damage the stone. A beautiful example of translucent sugilite from South Africa, weighing 1250 carats! Sugilite was first discovered by Professor Ken-ichi Sugi in the Iwagi Islet of Southwestern Japan in 1944. 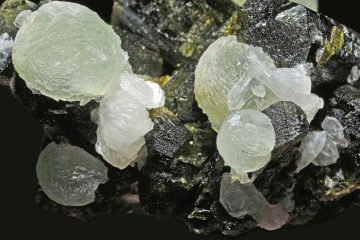 These first sugilite crystals were a dull yellow color, and were not considered particularly captivating or valuable. In 1955, new sugilite crystals were discovered in the Central Province of India. These crystals were a lovely dark pink color. Four years later, miners found a hue deposit of sugilite—big enough to mine commercially. 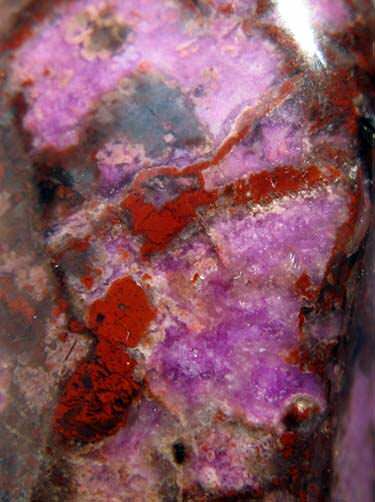 It is believed that this deposit originally contained 10 to 20 tons of sugilite. Unfortunately, this massive deposit is located 3,200 feet under the earth’s surface, which makes it difficult to mine. Exploratory miners have managed to extract some of the sugilite from this cache, but the majority of the deposit is still deep underground. The pieces that did come out fetched a hefty price on the market. These sugilite pieces feature the deep purple tint that has become so popular among gem buyers. 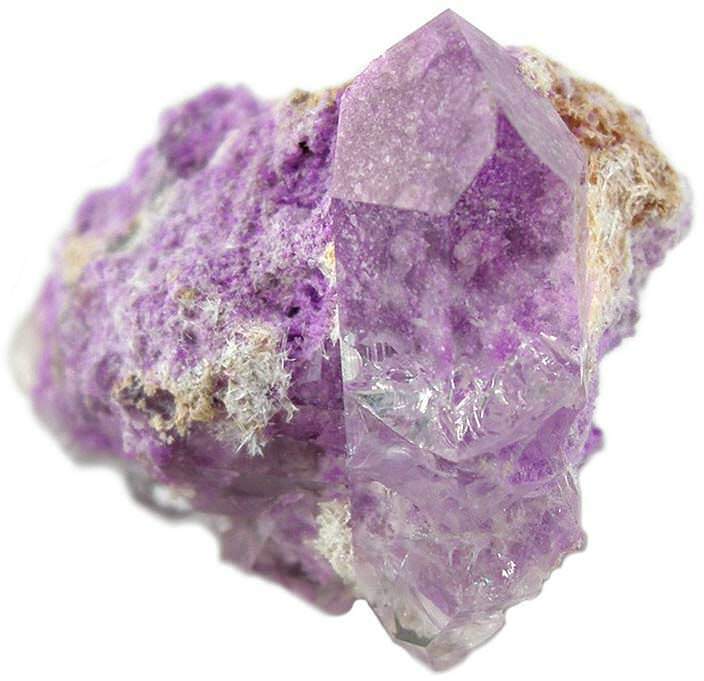 The majority of the sugilite removed from the deposit has the cloudy opaque coloration that is most common, but a few of the stones are translucent. These of course are the most highly prized and expensive pieces. The deep purple color of sugilite makes it most strongly associated with the crown chakra. As a result, sugilite is considered a deeply spiritual stone, one which can connect you with your spirit guides and attune you to a higher plane of reality. 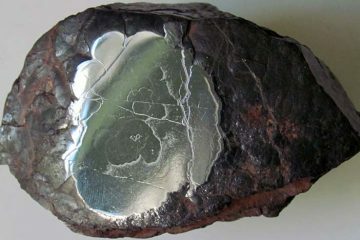 It is considered a very healing stone, one which is very soothing for people suffering from emotional distress. It is linked to peace of mind and has a very balanced energy. Since sugilite was only discovered in the 20th century, there are no known historical meanings associated with the gem. Sugilite is really quite a unique-looking gemstone, and not a lot of other gems resemble it. In fact, the only particularly strong match is amethyst, and even that is quite easy to tell apart when you learn what to look for. Amethyst: Amethyst is a popular form of quartz that has a purple color quite similar to the purple color you find in sugilite. Like sugilite, amethyst tends to have a “cloudy” appearance with multiple veins of colors and tints. Amethyst may be light, medium, or dark in color. As with sugilite, you will find it tumbled and polished more often than faceted, since this brings out its best qualities. How can you tell the two apart? Amethyst is far more likely than sugilite to be translucent or transparent. While amethyst can be quite dark, it is more likely to be a lighter shade of purple. Sugilite also tends to have a more vivid hue, and the purple color is a little warmer on the spectrum most of the time. In terms of cost, amethyst is also far less expensive since it is a very common gemstone. Tanzanite: Tanzanite is a unique dual-colored gemstone which typically has shades of deep indigo blue and purple in it. The bluer pieces look nothing like sugilite, but the pieces that lean toward the purple end of the spectrum may resemble sugilite in color. Tanzanite however is far more likely to be translucent or transparent, so it is generally easy to tell apart from sugilite. Alexandrite: In terms of color, purple alexandrite may be a close match for sugilite. Like tanzanite, it may exhibit more than one color, and it also tends to be translucent or transparent. For this reason, it is actually much easier to mix up with tanzanite than it would be to mix it up with sugilite. Marble: Generally speaking, marble is easy to tell apart from sugilite, except when it has been dyed purple, and marble with similar mottling has been selected. In those cases, it can be quite hard to tell the two apart. 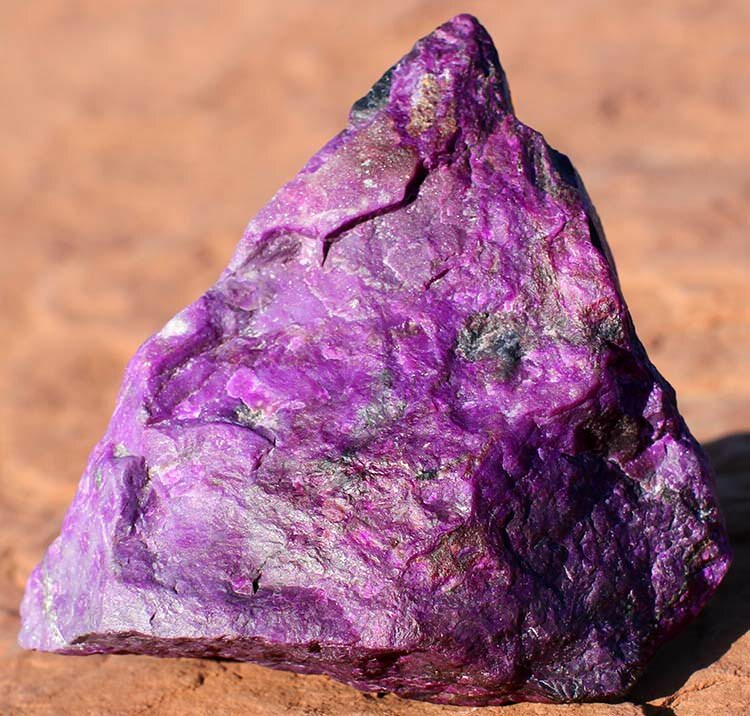 Sugilite is a very special and unique stone. If you manage to find a piece for your collection, count yourself lucky, since there is not a lot of sugilite out there on the market!